Have you ever wanted to photograph something to pick out a bit of detail or to really fill the frame for effect but been stopped by the close focus distance on your lens? There are a couple of solutions to reduce that distance between your lens and the subject and one of them is the extension tube. Before we look at these tubes in detail though lets quickly mention some alternatives. The cheapest option is the magnifying filter. These screw on to the front of your lens and simply magnify the subject. These can be stacked to increase magnification. The most expensive option is the specialist macro lens, designed to be used at close focus. These are fitted to your DSLR camera just like any other lens. So, lets take a look at those extension tubes in some detail. If you look at the picture you can see there are three and these were purchased together although you can buy them individually. 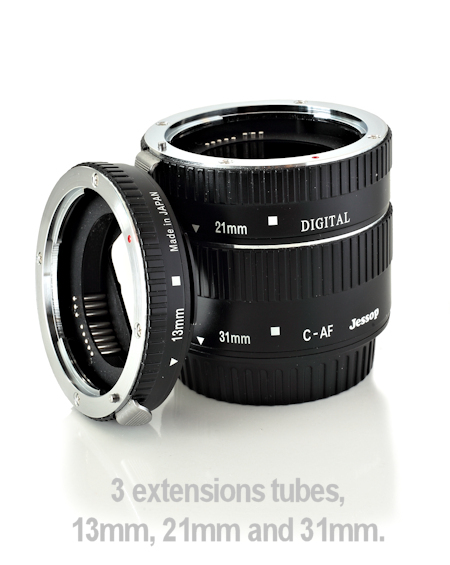 The tube is designed to sit between the camera body and the lens, thus moving the lens away from the camera and increasing the lens' close focus distance. The tubes shown here are designed to maintain all electronic contact between the lens and the camera body so full aperture, AF and exposure control is maintained. Each tube gives a differing amount of magnification starting with the 13mm through to the 21mm and finally the 31mm. 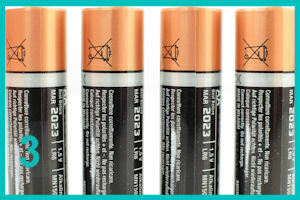 In the example images of batteries to the right you can see the level of magnification. If you want to get really close you can stack the tubes so you can use all three or combinations of two together. When you use an extension tube the depth of field reduces greatly so you have to be very careful with your focus. Although the ability to use AF is retained, I use manual focus to ensure I hit my desired focus point. To maximise depth of field and increase the limited focus range I will use a small aperture such as F16 (as I used for the pictures of the batteries) this means a slow shutter speed so a tripod has to be used to keep everything nice and blur-free. 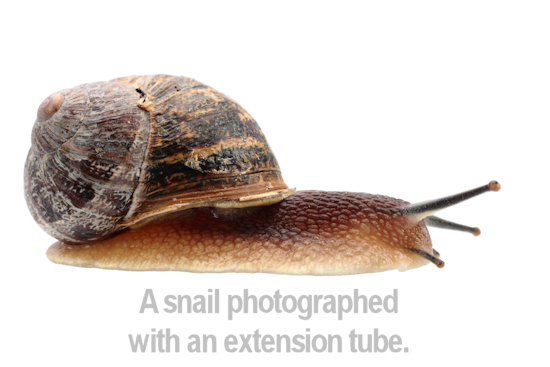 Lets take a look at some examples of how close the extension tubes will get you to your subject. 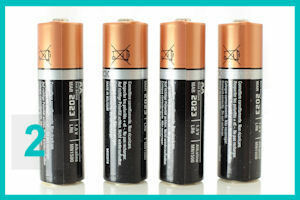 All of these examples, AA batteries, were shot with a 50mm lens at it's closest focus distance. Each picture is 100% with no cropping. Image 1 shows the subject photographed with a 50mm lens at it's closest focus distance without any tube fitted. A disappointingly long way away from the camera! 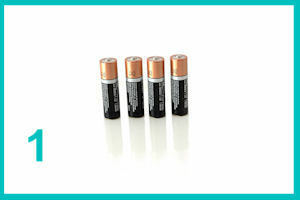 This picture lacks any impact or detail and those batteries are lost in a sea of white. 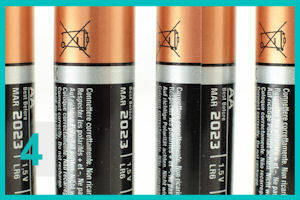 Image 2 shows the batteries photographed with the 13mm tube and the 50mm lens at it's closest distance. You can see the effect straight away. That's a nice frame-filling picture now. Image 3 shows how close you can get with the 21mm, again at the closest distance on the 50mm. Image 4 shows the effect of the 31mm tube. Very close indeed! But I Only Have a Phone! No problem! Phones already allow reasonably close focussing because the depth-of-field is so great but if you want to get really close it's possible to buy products such as the Olloclip which attaches to your iPhone to give you a close-focus facility. These kinds of products are becoming ever-more available so by the time you read this there will probably be a ton of new things to buy for your phone that we haven't heard of yet.